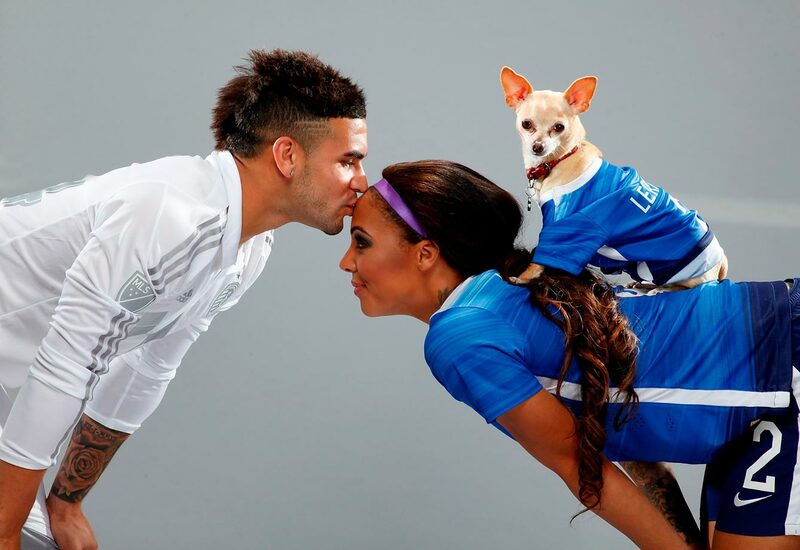 Dom Dwyer and Sydney Leroux are the first husband-and-wife duo to each score for the U.S. national soccer team. This weekend, Dwyer scored in his international debut, a 2-1 exhibition victory over Ghana, just 3+ months after he became a U.S. citizen. 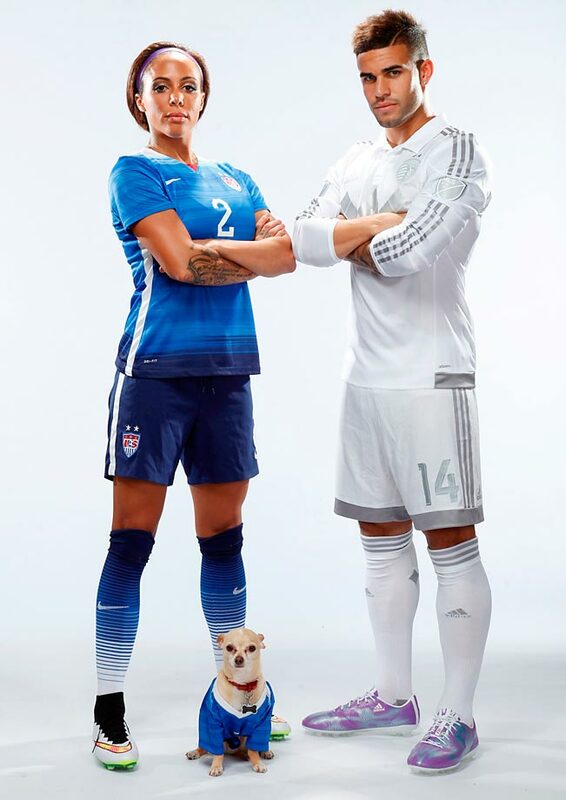 Leroux, who holds dual citizenship, made her national team debut in 2011 and earned winner's medals at the 2012 Olympics and 2015 Women's World Cup. 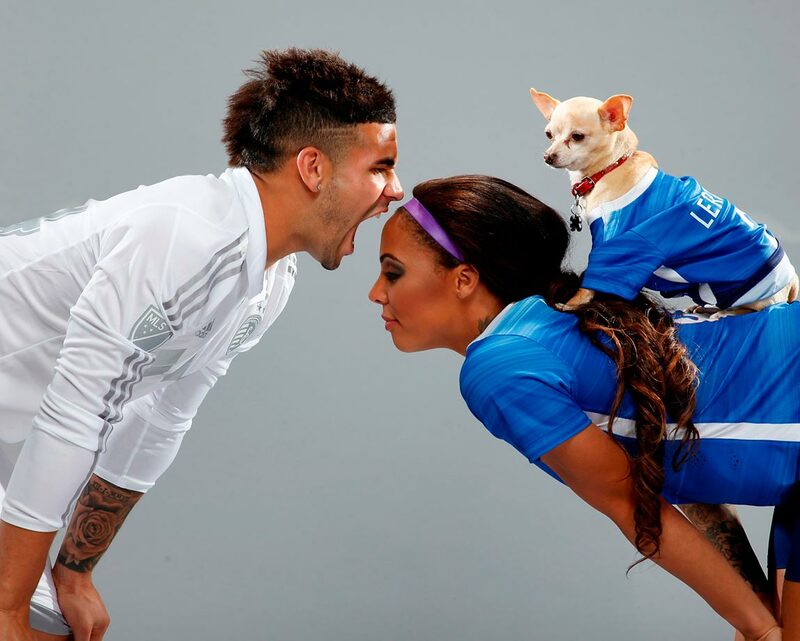 Dwyer and Leroux are the first husband-and-wife duo to each score for the U.S. national soccer team. ''I think it's the coolest thing. 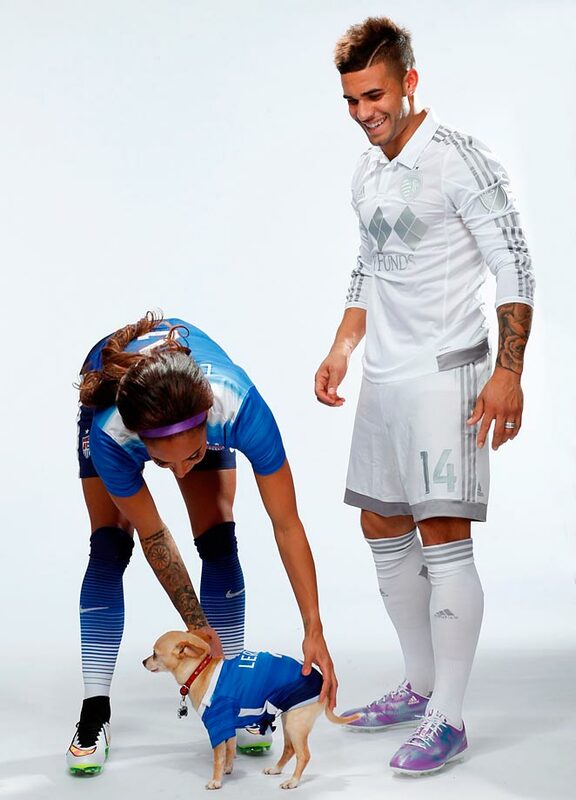 The fact is that both of us weren't born here: We followed the American Dream,'' Leroux said. The couple has a nine-month old son, Cassius, who was decked out in his own U.S. jersey to watch daddy's debut from the family's home in the Kansas City area. 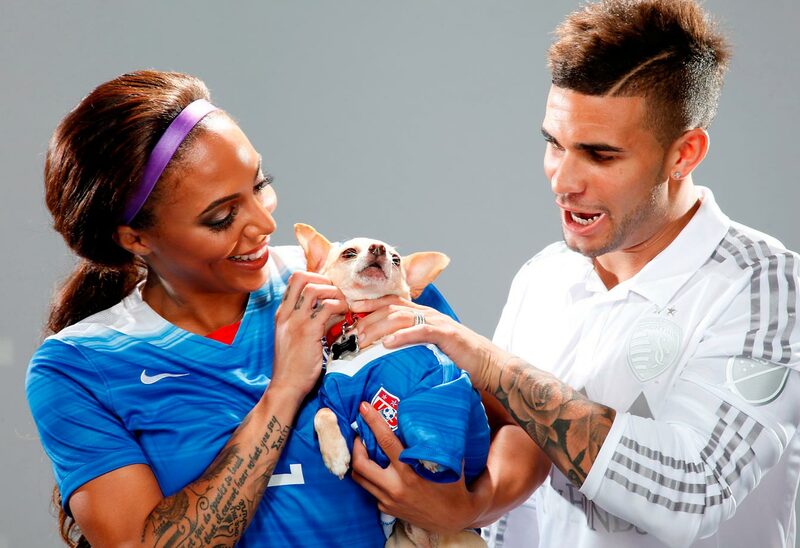 Leroux also plays for FC Kansas City of the National Women's Soccer League, while her husband plays for Major League Soccer's Sporting Kansas City. ''I'm very proud of Sydney and what she's achieved and still achieving in the national team, and I've got quite a few caps to catch up to her and a few goals, too, but hopefully I can live up to it,'' Dwyer said. Born in England, Dwyer came to America as a college student, playing at Tyler Junior College in Texas before transferring to South Florida for the 2011 season. 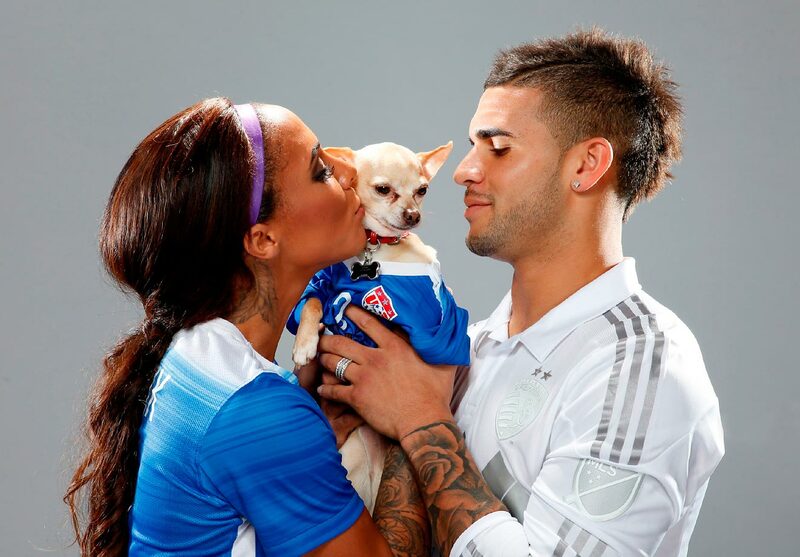 He was the 16th overall pick for Sporting Kansas City in the 2012 MLS draft. He has 60 goals in 133 competitive matches for Sporting KC. 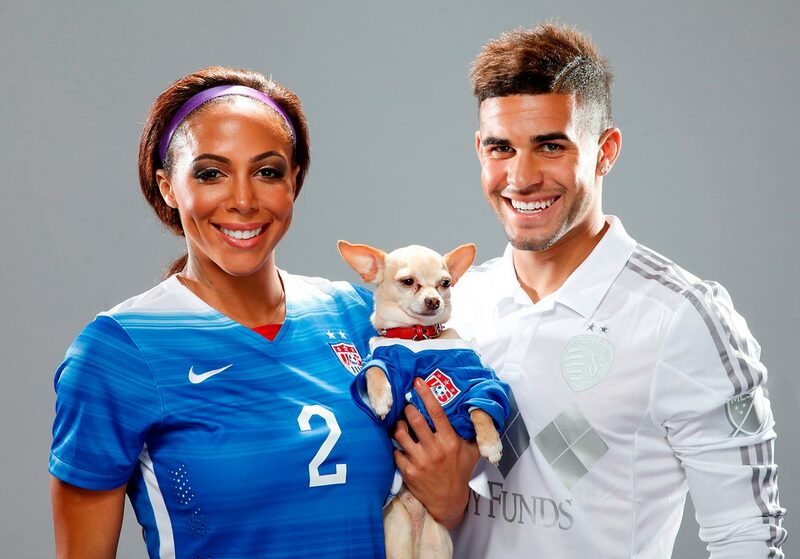 Dwyer met Leroux in 2013 and they were married in early 2015. The two cleverly announced they'd tied the knot on Valentine's Day that year, holding hands and wearing their jerseys: No. 2 for her and No. 14 for him under the name Dwyer. While the couple was starting a family, Dwyer was also working toward a personal goal: In March he became a U.S. citizen. It was the first step toward playing for the national team, a dream that came true in East Hartford, Connecticut, on Saturday when the 26-year-old striker scored in the 19th minute and celebrated with a double back flip. ''It's been a long road to get here, and I really wanted to show the fans and show the country I'm very passionate about this country, and I'm very honored to play for this team, and hopefully it's something we can build on,'' he said. He'll have more chances to prove himself in the CONCACAF Gold Cup, the biennial championship for the North America, Central America and Caribbean region. The United States opens Saturday against Panama in Nashville. Retired NBA star Kobe Bryant is a good friend of the couple's. 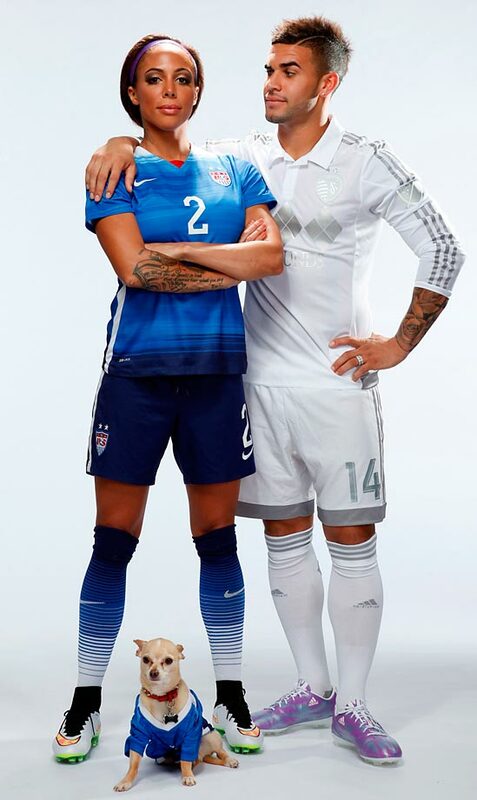 Dwyer and Leroux, a 27-year-old forward, are just the fourth married couple to play for the United States, joining Jim Gabarra and Carin Jennings, Claudio Reyna and Danielle Egan and Zach Loyd and Casey Nogueira. Egan's only goal was in 1993, four years before she married Reyna. 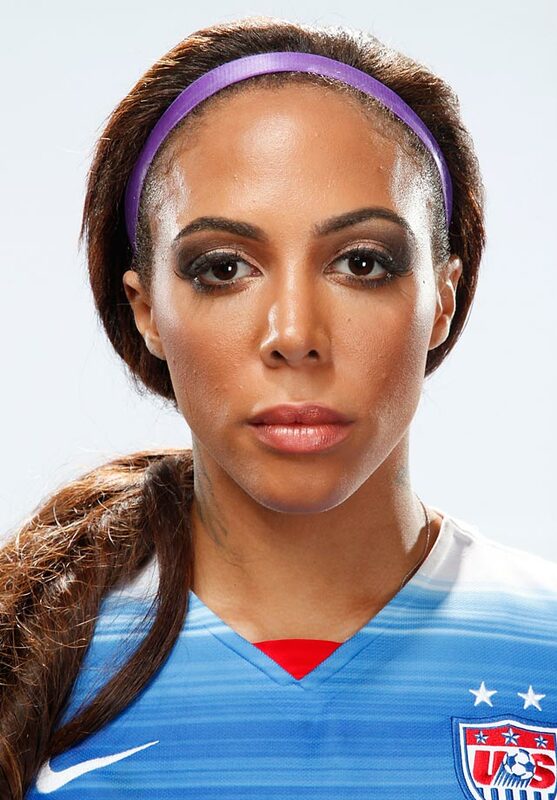 When Dwyer was named to the national team Leroux posted a loving tribute to social media. ''Two kids from two different countries from two completely different walks of life that found their way to America and to each other because of our love for the beautiful game. I can't write a better story but I know this is just the beginning. Welcome to the club. You have some catching up to do though,'' she wrote. 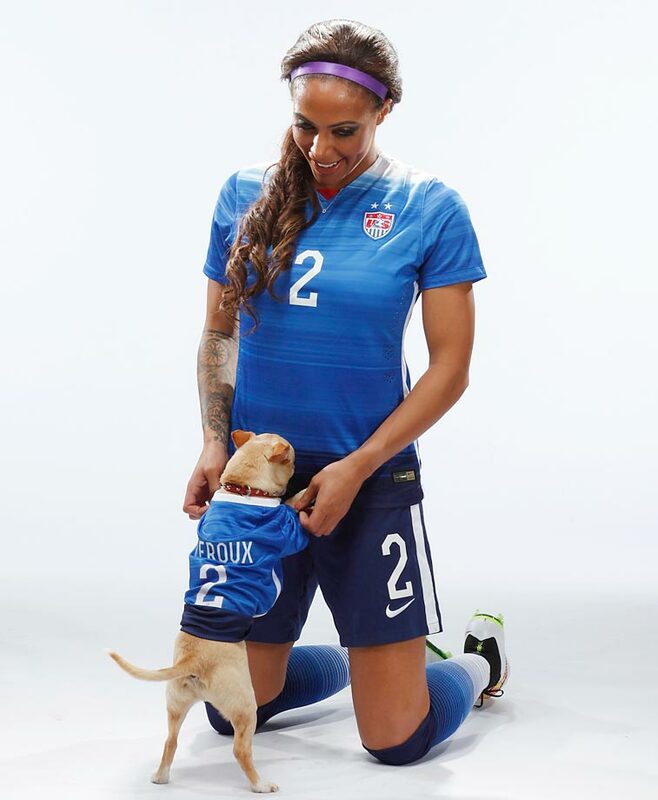 Leroux was born in Surrey, British Columbia. At 15, and holding dual citizenship, she moved to Arizona in hopes of grabbing the attention of the U.S. Soccer Federation. She played for UCLA and the U.S. Under-20 team before making a single appearance for the senior team in 2011 and scoring five goals in her second appearance, a 13-0 rout of Guatemala in an Olympic qualifier in January 2012. 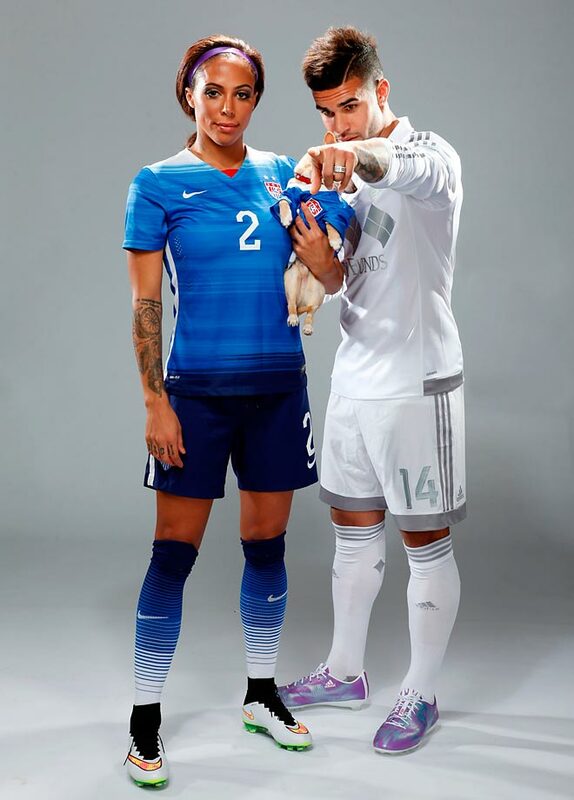 Leroux has 35 goals in 75 international appearances. She took last year off - missing the 2016 Rio Games and the FCKC season - because of her pregnancy. 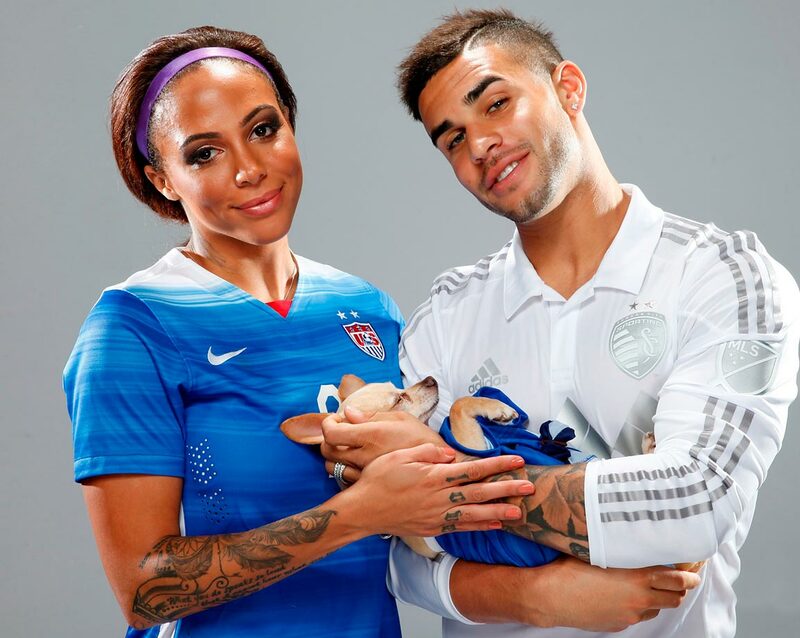 The couple welcomed Cassius Cruz Dwyer in September. Cassius has become something of a celebrity on his own, with 62,000 Instagram followers. 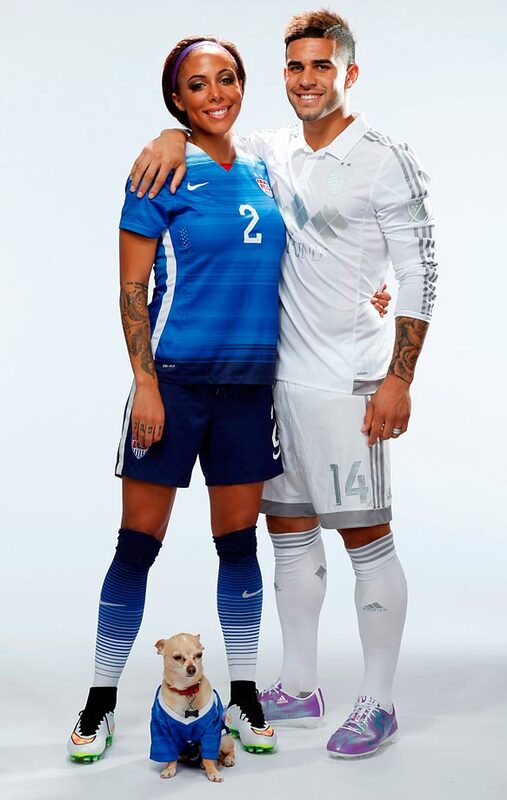 Leroux returned to the NWSL this season, starting at forward and working hard to regain her pre-pregnancy form. This season she has three goals and an assist. The couple's shared careers bring added challenges to parenthood. But she quickly added that it's worth it. ''We're both chasing our dreams and I wouldn't have it any other way,'' she said.